I have to tell y’all, as I have gotten older, I have found my mind is not what it used to be. If I don’t make a list, I won’t remember it. Do you ever feel like that too? Most days, I have so much stuff swirling around in my head between, homeschooling my kiddos, running a house, blog stuff and just life in general. It’s too much info to process and keep straight without lists and calendars. Wednesday is when our local ads come out. I have a “process” I go through every week …. I go through all of the ads and write down things from the circular that I think are a really good deal or things I may want to incorporate into our dinner. Then, I start planning our menu and finish it off with a grocery list. I usually make my own French Bread because I’m too cheap to buy it …. or at least, that’s my intention! I can’t tell you how many times I’ve remembered at the very last minute that I forgot to make bread … too many times. That’s when having things like canned biscuits and a cheese block come in handy! 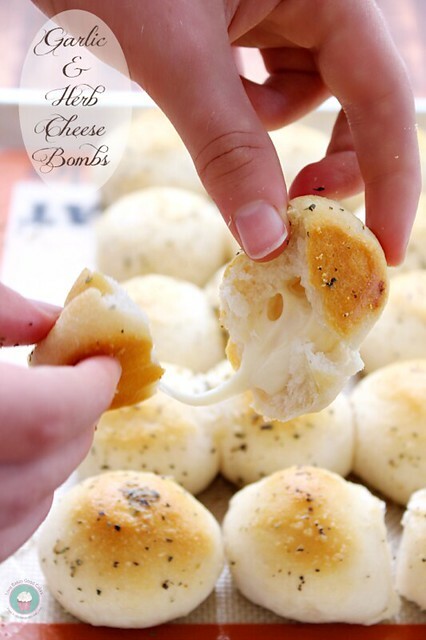 My kiddos think these Garlic & Herb Cheese Bombs are the bomb …. hence the name! 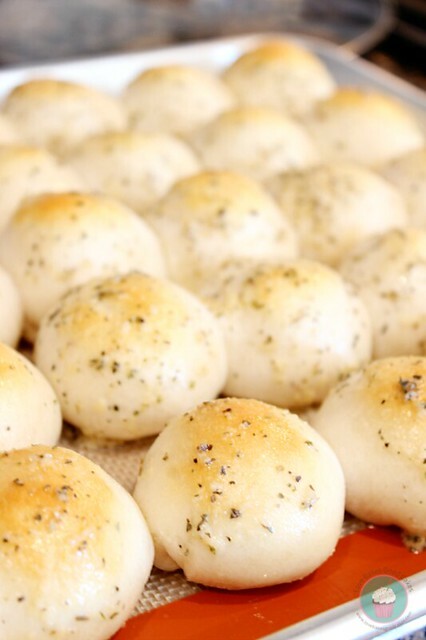 🙂 Whether you forget to pick up or make bread for your spaghetti dinner …. or just want a fun and easy appetizer – this recipe is a keeper! 2. Separate biscuits. Place on cube of cheese in the center of each biscuit. Carefully wrap the biscuit dough around the cheese and seal. Place seam side down about an inch apart on an ungreased baking sheet. Bake 10 minutes or until the biscuits are golden brown and the cheese is melted. 3. While the biscuits bake, mix the butter, Italian seasoning and garlic powder together and set aside. 4. Remove the biscuits from the oven and immediately brush with butter mixture. Serve warm. Jamie these look amazing! I love making these. Totally easy to! Jamie – there's nothing quite like cheesy snacks for the ultimate guilty pleasure! Thanks so much for this awesome recipe – my readers are loving it! 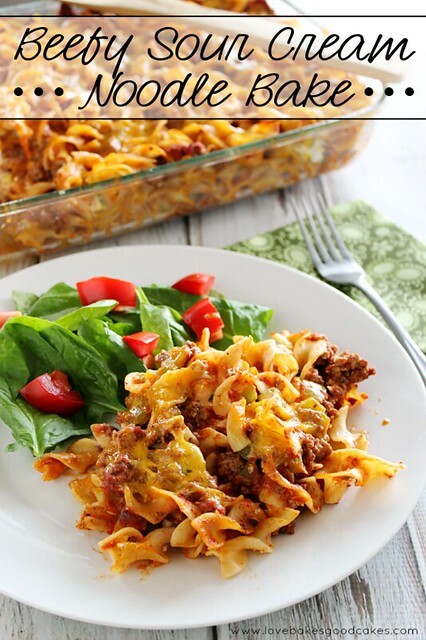 Look so delicious- pinning this recipe, for sure! And yeah, I definitely have to make lists now; the memory ain't what she used to be! And I'm probably quite a bit older than you, so you still have a lot to look forward to. LOL! Hi. really love the recipe. i'm facing difficulty to get the refrigerated biscuits in my country. can you give a recipe for equivelent to refrigerated biscuits? tq. Could you give us the recipe for biscuits? One word: DANGEROUS!!!!! 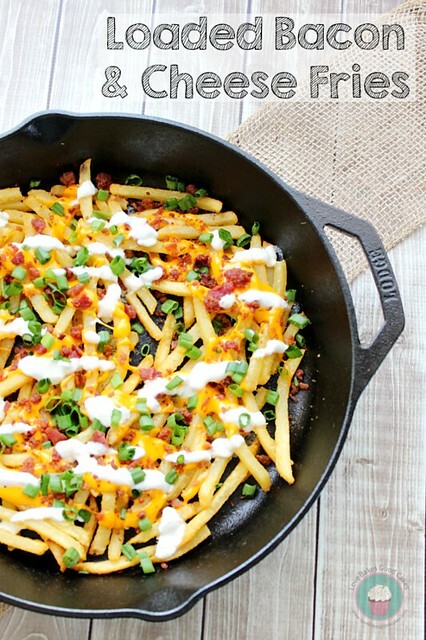 We are melted cheese nuts over here so these would be perfect (and dangerous)! Great appetizer idea too! Thanks. Made these the other day and omg they are fantastic!! Making them again at the request of my kiddos. Great recipe. Thanks. yum! i'm gonna try these tonight! These really are the bomb! My kids loved them and so did I! Thanks for the recipe! Try these with a large marshmallow dipped in butter and then in cinnamon sugar. wrap the biscuits around the marshmallow and bake. Awesome! A friend of mine made these and they were awesome! 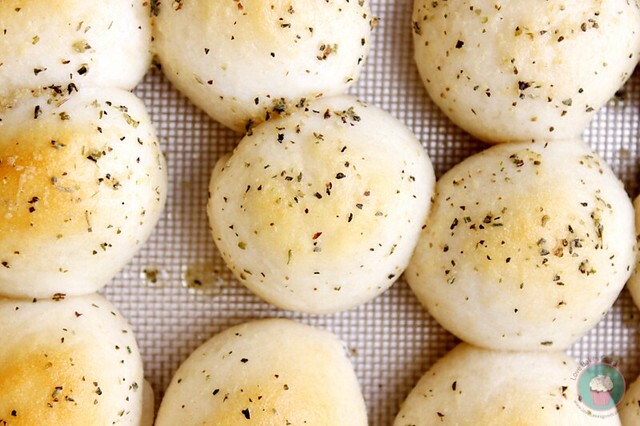 we dipped the cheese in pesto before putting them in the biscuits and it was amazing! I am planning on making these. Would fresh mozzarella work?